We are thrilled to be sponsoring the Brooklyn Oyster Riot, the launch event for New York Oyster Week this year! Join us on Thurs, Sept 11 at the Palm House at Brooklyn Botanic Garden at 6:30 pm. The event will be showcasing some of the finest oysters and shellfish in the world, as well as the stories of those who grow, forage and distribute them. Come meet your oysterman and ask questions as he hands you an oyster that he carefully cultivated from seed to half-shell! All oyster shells from the event will be recycled and donated to the Billion Oyster Project and New York Harbor School. OPEN BAR featuring 5 +/- Wines, Beers & Cocktails, including an exclusive Oyster Stout brewed by Blue Point Brewery for NY Oyster Week and Finlandia Vodka. 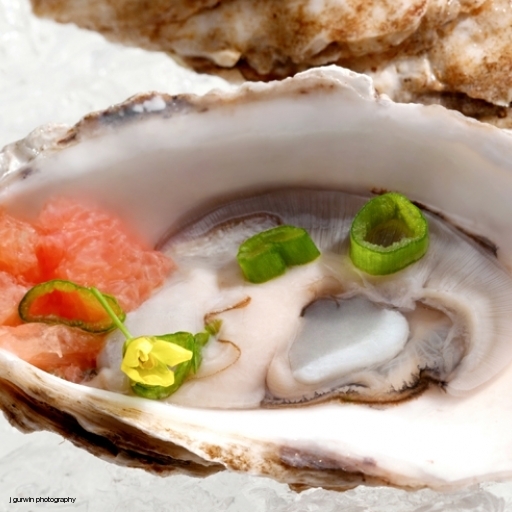 Drinks will be curated to pair with specific oysters and oysters in general. Enjoy the event surrounded by natural splendor at the Palm House at Brooklyn Botanic Garden. Meet the restauranteur, chef and speed shucker John Bil, proclaimed by the NYT as a “shellfish shaman” and by Josh Ozersky as “ungodly fast!” He is a renowned Canadian oyster shucking champion and consultant for many top restaurants, including M. Wells Steakhouse (NYC), Flex Mussels (NYC), Joe Beef (Montreal) and Catch (Toronto). Meet Sam Janis from the Billion Oyster Project, a long-term project to restore one billion live oysters to New York Harbor and educate young people about ecological restoration and marine science. This is an unprecedented opportunity for seafood fans and farm to table eaters to mingle with and learn from oyster farmers, divers and award-winning shucking champions in a fun and immersive environment.